I have yet to meet anyone who genuinely claims that they enjoy washing up and I am no exception. I love to cook but I am certainly not a fan of the washing up afterwards (particularly since I seem to have inherited my Grandmother’s ‘skill’ of using every piece of crockery and cookware in the prep). Whether you love to cook or find it a hassle, the addition of a quality dishwasher can make mealtimes less stress and less mess! It’s not just time you’ll be saving, either; you’ll also be saving money when you use a dishwasher. Contrary to popular belief, using a dishwasher is more efficient than washing by hand. Research carried out by Christian Paul Richter between 2007 and 2008 on a selection of households in the EU, found that those homes which had a dishwasher used on average 50% less water and 28% less energy than the households that didn’t own a dishwasher. Our latest exciting competition will see one lucky person win an amazing prize – an Indesit dishwasher AND a supply of Fairy Platinum dishwasher tabs! 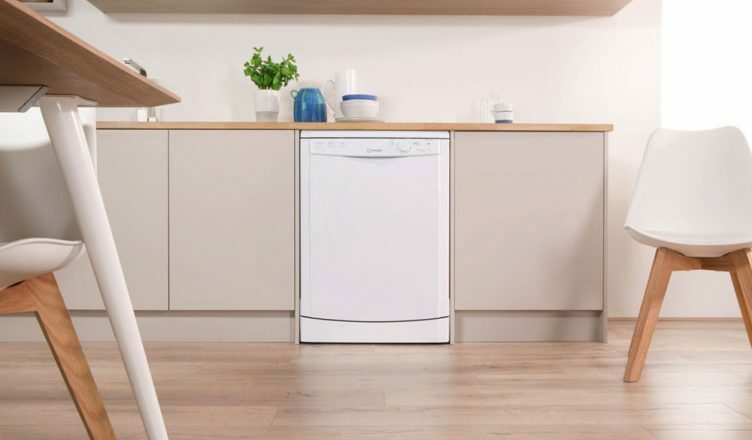 Read on to find out more about this dishwasher and how you can win a fantastic Indesit DFG 15B1 A+ Energy Rating 13 place settings dishwasher in white. 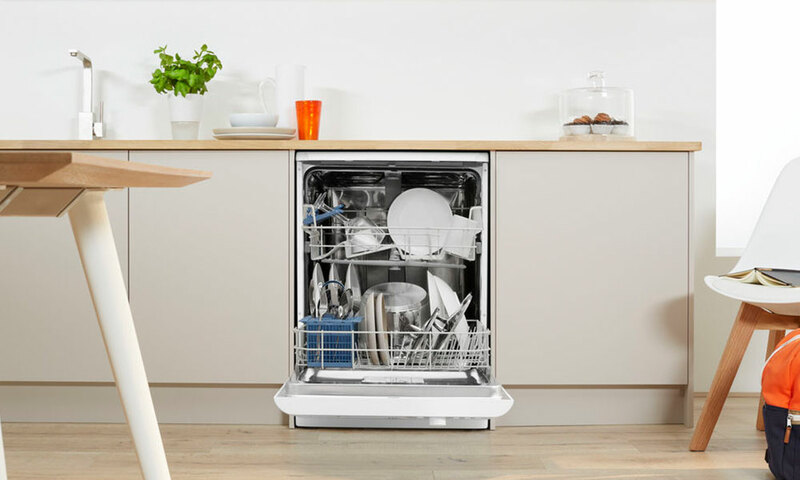 An Indesit dishwasher makes cleaning up after the family dinner time quick and simple. 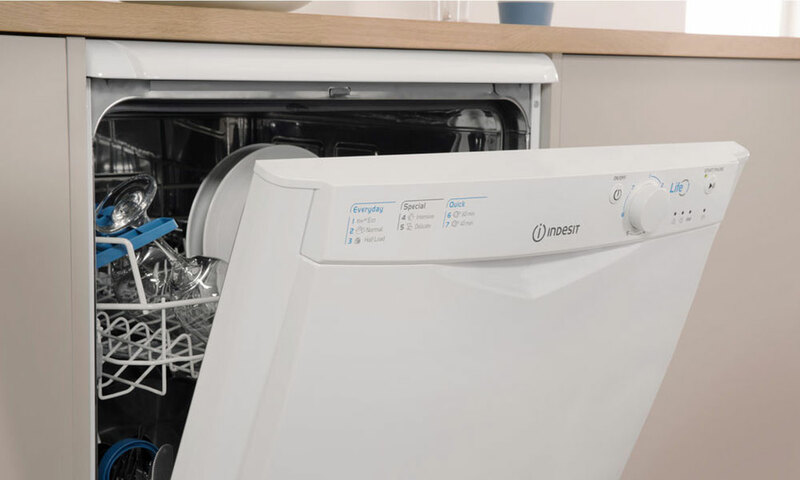 What’s more, Indesit dishwashers offer the fastest eco cycle on the market and there’s even a dedicated eXtra Hygiene cycle that’s perfect for cleaning your baby’s items as it removes 99.9999% of bacteria. The Indesit DFG15B1 is a full size dishwasher that can accommodate an impressive 13 place settings using just 11 litres of water. The energy rating means you can expect optimum results with minimum energy usage each & every wash – meaning you’ll save time AND money! There are five programmes to give you a simple option to get the dishes done, quickly. Indesit’s Quick Wash & Pre Rinse allows you to make light work of smaller loads or baked-on grease. Indesit offers a ten year free replacement part guarantee on this machine. Customers buying selected Indesit dishwashers (to 3rdJuly 2018) can also get six months of Fairy Platinum Dishwasher Tabs, too! Fairy Platinum dishwasher tabs give you the confidence to cook what you want knowing Fairy and Indesit will be there to clean up even the toughest of tough foods left behind, so you can spend more time with your family. Whether it’s cookware, crockery, glasses or utensils, the Indesit DFG 15B1 is there to help. To find out more and to be in with a chance of winning this great dishwasher AND six months’ supply of Fairy Platinum dishwasher tabs just head to our Facebook, Twitteror Instagrampages to find out how you can enter our brilliant FREE competition. You can also buy online, use our Click & Collect serviceto collect from your local storein as little as one hour or why not ask your local store about viewing our Indesit range.